Jonathan Horowitz (b. 1966, New York, NY) studied a BA in Philosophy at Wesleyan University, Middletown (CT). 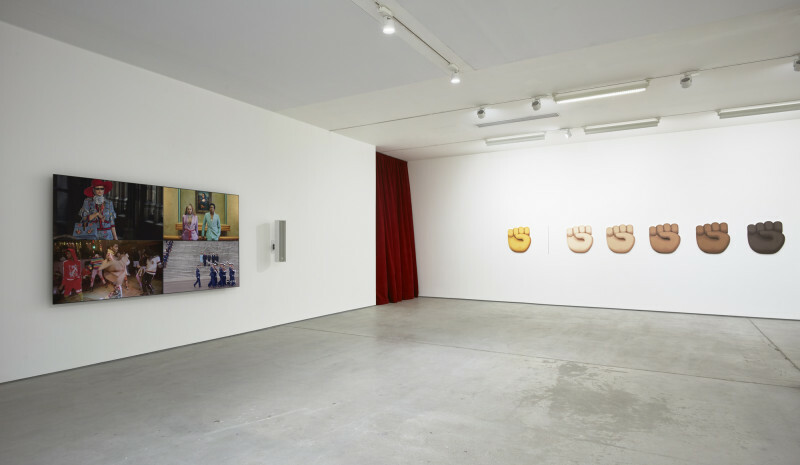 Working across video, sculpture, sound installation, and photography, Horowitz critically examines the cultures of politics, celebrity, cinema, war, and consumerism, often with hints of humour and irony. Using found footage and imagery, Horowitz’s practice sits at the intersection of the pre- and post-digital eras, highlighting the connections and divergences across ever-evolving societies and their value systems and inciting radical reconsideration of ‘throwaway’ items, inviting the viewer to address their modes of consumption: the artist frequently skims the line of a call to action, affronting and garnering our awareness of everyday (and frequently overlooked) global issues.